The ATP World Tour arrived in Rome for the Italian Open on the 11th of May 2018 and we are now at the quarter-final stage, only a few days away from the final on Sunday the 20th of May. It really is a whirlwind tournament that focuses as much on stamina and endurance as it does skill. Winning the Italian Open will be the perfect springboard for any player wanting to lay down a marker before Roland Garros and Wimbledon. So far, there are still some big names left in the competition, with Djokovic and Nadal the standouts. There were some early exits in Rome as Stan Wawrinka fell at the first hurdle in the round of 64. The three-time grand slam winner went down to Steve Johnson 6-4 6-4 but that wasn’t the only big name to leave the Italian Open prematurely. Kevin Anderson was forced to retire during his game with Aljaz Bedene in the round of 32. That would have come as a blow to Anderson who reached a career-high ranking of seventh in the world after the Madrid Open. Kyle Edmund could only make it as far as the round of 16.
Who will prevail out of Djokovic, Nadal and Zverev? There are only eight left now, but it looks increasingly likely that either Djokovic, Nadal or Zverev will triumph. Last year’s winner, Alexander Zverev, plays the late quarter-final on Friday the 18th and is the favourite in tennis betting at 1/2 to win his match. Should the German progress, he will be full of confidence to make the final. Waiting for him in a semi-final clash should be Novak Djokovic but given the Serb has been out for a while due to injury, Zverev will fancy his chances of toppling the 12-time Grand Slam champion. Nadal making the final won’t be a bridge too far and the Spaniard is the man to be feared. Nadal could only get as far as the quarter-final at the Madrid Open but that won’t affect him as he tries to win his eighth Italian Open. Nadal has won the tournament a record seven times and knows exactly what it takes to triumph at the Italian Open. 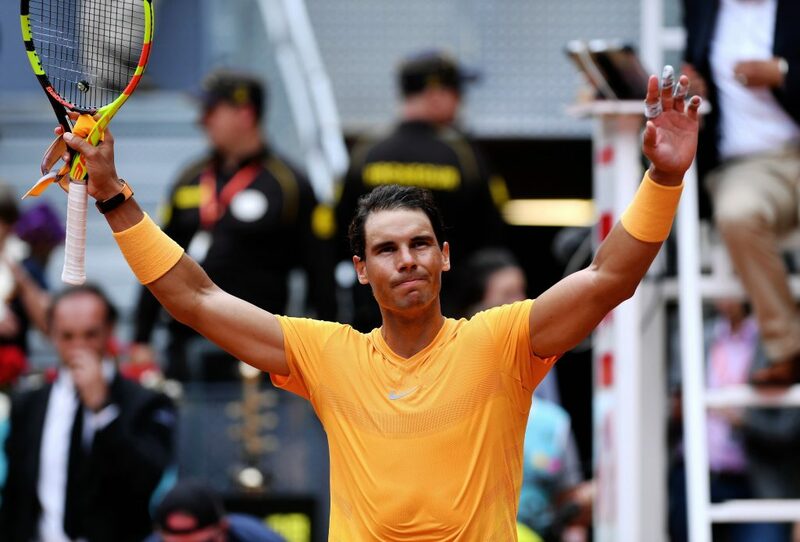 No one capitalises quite like Rafa Nadal does on clay during this part of the season and that’s why he is always the favourite when making any predictions at the Italian Open. The King of Clay should conquer Rome yet again on Sunday and prove just why he was given the title.